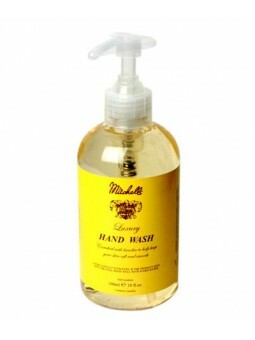 Mitchell's Wool Fat Moisturising Hand & Body Lotion 240ml. A moisturising hand and body lotion which is quickly absorbed without greasiness. Regular use helps to keep the skin soft and smooth. Prepared to a traditional formula enriched with lanolin. Mitchell's Wool Fat Bath & Shower Gel 150ml. Using only the finest ingredients Mitchell's bath & shower gel is prepared to provide a refreshing and luxurious way to cleanse your skin during bathing. 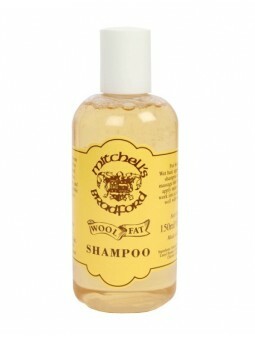 [name] => Mitchell's Wool Fat Bath & Shower Gel 150ml. Jabón de manos Mitchell's de 300 ml con dosificador. Limpia la piel dejándola profucndamente hidratada gracias a su alto contenido en lanolina de origen natural. 1 x Mitchell's Wool Fat Bath & Shower Gel 150ml.